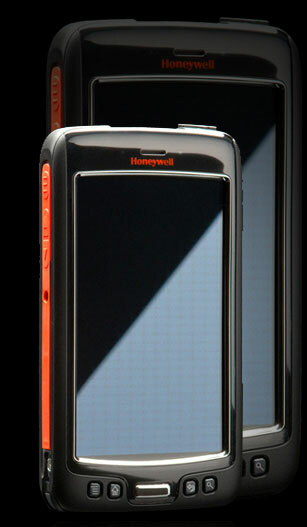 Honeywell just announced a new mobile computer to hit the enterprise market in a big way. The Honeywell Dolphin 70e is a response to a rapid increase of BYOD at businesses and managing the multiple devices needed to keep employees working efficiently on the road or within the four walls. Also I think they really wanted to announce a new Dolphin in Miami. Maybe they can even land their announcement on page one of Google results for “Miami Dolphin.” Maybe. The Dolphin 70e continues a conversation enterprise mobility companies have had since consumer devices caught up in terms of performance. An iPhone is remarkably powerful and will do pretty much the same stuff as a more expensive enterprise device. However, if you drop your iPhone, your Samsung Galaxy 3, your Moto Droid Razr HD, odds are the screen will shatter and you will no longer be having a good day. And that’s part of the tradeoff with consumer electronics, they’re affordable, powerful, but not durable. 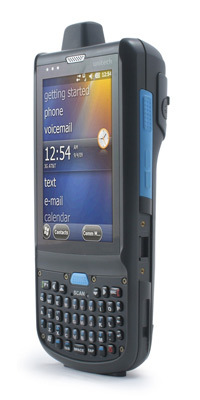 With the Dolphin 70e, you get a similar design to a smartphone but with the durability necessary for mobile field service, route management, or any mobility application out there. The press release only says it can withstand drops to concrete. I’m not going to make a claim on from what height, that’d be foolish. However, and this is a big deal, the Dolphin 70e is rated at IP67 seal specifications. It’s completely sealed from dust, so no random dust accumulation behind the screen, that’s nice. That second number, the water-related specification, that means it’s sealed against drops into like buckets of water. I’m not sure how often people like to dunk phones into water, but they can with the Dolphin 70e. Given how often friends have “lost” phones to the terrors of rain and gimlets, this seems like a great feature for a lot of people. And because it’s from Honeywell Advanced Imaging and Data Capture, no Dolphin would be complete without a barcode scanner jammed into it. The Dolphin 70e has a 2D imager built-in, I’m assuming it’s the Adaptus they just announced a couple weeks ago. Even if it’s their older Adaptus 5.0 imager, it should be great for scanning barcodes. The Dolphin 70e will be available with Windows Mobile or Android OS depending on your needs. So if you have infrastructure & software already established in the Windows Mobile environment, you’re set. But if you are looking at moving to Android, or you want to see how awesome the Android version of RedBeam is, you’re still set. According to the announcement it should be available February 2013, just in time to be a Valentine’s gift for a clumsy loved one. 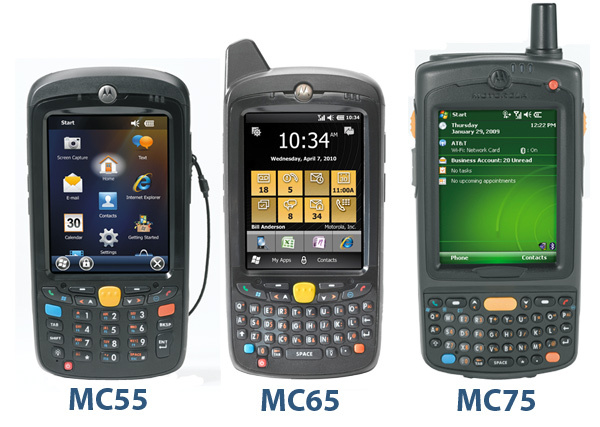 Motorola Solutions have been trying to hit the mobile field sales/mobile manager crew for a while, with their last iteration being the MC35. Technology apparently didn’t meet their needs, because the 1 megapixel camera was woefully underpowered for good barcode scanning, and the device itself wasn’t exactly the fastest on the market. However, the fantastic price point and ability to freak out only a little after a whiskey spill made them a hot seller for us. Motorola’s new foray into this market, the ES400, is leaps and bounds above the MC35 and should be a great fit for mobile sales forces. The first thing to note about the ES400 is that it’s just a little bigger than a Blackberry, so you can stuff it in a suit pocket and keep a smooth look. I feel my best when I look smooth, and I imagine I’d sell better if I looked smooth as well. The ES400 is powered by a 600 MHz ARM 11 processor, with 256 MB of RAM and 1 GB of flash memory built in. If you need more storage, there’s a microSD slot that supports cards up to 32 GB. Slap some Foghat on that SD card and now you have tunes while you’re out on the road. You could also keep updated client data files, daily sales routes, and other assorted important data if you prefer. Barcode scanning on the old MC35 was difficult for anything but standard UPC barcodes, and even then it was frustrating to find the sweet spot. The ES400 upgrades from a weak 1 megapixel imager to a 3.2 megapixel autofocus color camera, so reads are quick, reliable, and devoid of performance-based stress on part of the user. It also sports a user-adjustable red LED aiming beam, so you can get a better idea of the optimal reading area. All models come with GPS, 802.11, and Bluetooth radios, as well as a soft-switch GSM and CDMA cell radio. So now rather than hauling a Garmin, work phone, and mobile computer, you can take the ES400 and have it in one small device. The soft-switch between GSM and CDMA is pretty rad; you get greater coverage than with just one of the networks, making it easier to get route updates on the road. Although I guess now you have no excuse for a midday nap when you’re “out of coverage”. I’ve talked up a lot of what makes it great, but there are some sacrifices made. Unlike it’s burlier MC55/MC65/MC75 cousins, the ES400 is not durable enough to withstand really abusive behavior. But again, this is for a mobile sales force, not field service employees. The drop spec is a resistance to drops of 3 feet, so slipping out of a pocket isn’t too big a deal. It’s also not quite as well sealed, with just an IP42 seal specification. The odd splash here or there, or maybe a little dirt on the device could be okay, but I definitely wouldn’t use this in a car wash. Though I would like to see an advertising campaign involving high end durable products being used in extreme circumstances. Or a Moto rep trying to scan car VINs while they’re getting washed. So if you’re looking for a relatively inexpensive way to capture data on the road, or even within your business, the Motorola ES400 is a smart choice. It comes with a one year warranty, and is a great step between consumer phones and heavy duty mobile computers.